These to-die-for diamonds are so few and far between that each stone is an instant heirloom. With pink universally considered to be the colour of love, it's no wonder they are so coveted by collectors, celebrities and jewellers. A special grading system categorises the colour and intensity of each stone. Colours range from Red to Pink, Purplish Pink, Pink Rosé, Pink Champagne and Violet. 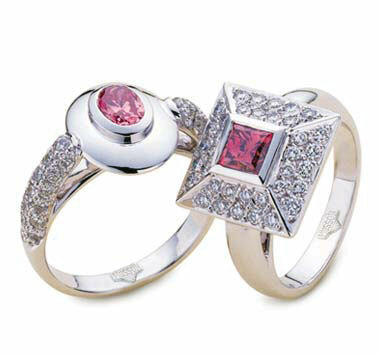 The Argyle Diamond Mine recently released the 2010 Pink Diamonds Tender. Entitled Earth Magic, this year's collection includes some incredibly vivid and intense pink stones, as well as a one-of-a-kind tiara designed by iconic jeweller Asprey.